What’s The Deal With Jade Face Rollers & Do They Work? Title: What’s The Deal With Jade Face Rollers & Do They Work? You may have seen videos on the interwebs that show people massaging their faces with jade rollers. We know that it’s hard to stay on top of all things beauty, but we had to find out if these new beauty tools are all they are chalked up to be. According to history, the jade face roller is not a new trend. Empresses and aristocrats in 17th century China used them to help themselves appear younger. Typically made from solid jade, these rollers are said to reduce puffiness, minimize fine lines, and get rid of dark circles under the eyes. To use it, gently massage the rolling tool from the center of your face in upward and outward motions. The rolling facial massage is said to stimulate the lymphatic system and increase circulation. Recent studies suggest that increased blood circulation to the face can improve your complexion. The de-puffing claims also seem to have some truth behind them. Because jade rolling works to promote lymphatic drainage, you can help to reduce swelling. Whenever you have poor circulation in the face, your eyes can become puffy. Lymphatic fluid tends to settle in certain areas, like the areas around your eyes, but you can drain it by gently massaging the skin. You can do this with some organic, virgin coconut oil and your fingers. You don’t need the jade roller, even though the stone has a cooling effect that is said to aid with the reduction of puffiness or redness. 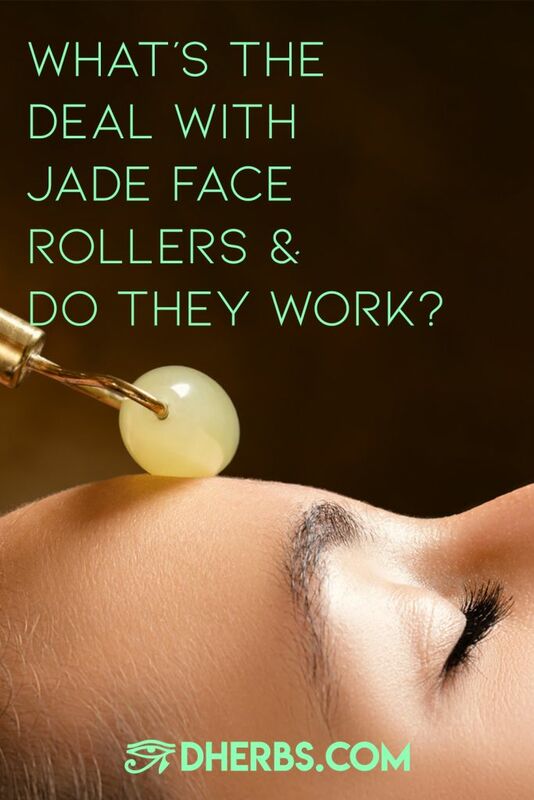 While jade rollers may have a few benefits, they cannot increase collagen production, reduce wrinkles, or clear up acne outbreaks. A lot of people like face rollers because they feels nice, which can indirectly improve stress-related acne. There’s nothing wrong with using a jade roller every day if it makes you feel good, but it really doesn’t do a whole lot for your skin. If you are going to use one, make sure to massage gently because too much pressure could rupture pimples and lead to further inflammation or breakouts. A few things are for certain: using a jade roller will be soothing; the massage will feel nice; and you may relieve tension in your face. A few other things are for certain: we aren’t sure they are worth your while; we don’t know if they will decrease puffiness; and we don’t know if they’ll get rid of dark circles. Q: I have suffered from sever acne on my face and back for the past 8 years. I have tried a lot of things from prescription drugs to natural products and I still break out. I have some other symptoms like vaginal discharge, excessive hair growth and swollen lymph glands in my jaw and neck. Are all of these things related to one another? Please help me! I am 28 yrs and feel that I will look older than I am if I donâ€™t find a solution. You're blood is TOXIC and needs purifying and cleansing! Acne is the result of your skin defecating via the skin because your eliminative channels are not working. Read our articles (â€SKIN RASHâ€, â€VAGINAL ODORS AND DISCHARGEâ€, etc.). Perform the FULL BODY DETOX followed by the TOTAL WOMAN CLEANSE, change your diet (raw foods and vegan), soak in hot water, sea salt, and hydrogen peroxide DAILY! All of your problems are connected which is why the total body needs cleansing The new ACNE article will be up soon so stay tuned to Dherbs.Com! Q: My sons is only 2 months old, and his face is very dry and flaky. I keep his face moisturized with either shea, or cocoa butter, but it keeps drying out. I was told he has baby acne, which is when during birthing stages, my hormone passed to him, causing acne. What do you recommend from your product line? Please read our articles entitled "Eczema", and "Skin Disorder = Blood Disorder" in our articles section. Diet-wise, please order and read our "Alternative Diet and Lifestyle" manual, and start feeding the child a vegan diet. Avoid all acidic foods which irritate his skin. Q: I am only guessing but it seems like I have been experiencing color discolorations and excessive dryness in my face when hair grows on my face or when I drink liquor it is almost like a reaction. What could this be? I just ordered the BLOOD AND LYMPHATIC FORMULA should that help? If not what could I use for this skin problem? CLEARLY YOUR BODY IS TELLING YOU TO STOP DRINKING LIQUOR BY MANIFESTING SYMPTOMS. I SUGGEST YOU PERFORM THE FULL BODY DETOX FIRST AND TAKE THE BLOOD AND LYMPHATIC FORMULA AS A DAILY MAINTENANCE REGIMEN. Q: I'm wondering if the Oxy Oil will help me get rid of the hyper pigmentation on my face. I have tried facials and use hydroquinone (2%) on a daily basis plus I use sunscreen. I have tried different skin lighteners, and also went the other way and tried to darken the lighter areas by getting a suntan on the lighter areas of my face! What do you suggest? The Oxy-Oil can help tone the skin and may be beneficial to you. Q: I was born with a dark spot on the side of my face, but as I got older it faded away and you can barely see it unless you really stare at it. Could you please tell me what this birthmark mean? My mother said that I was born with a veil over my face. IN REGARDS TO YOUR INQUIRY, WE MAY HAVE THE ANSWER FOR YOU IN OUR ARTICLE ENTITLEDâ€BIRTHMARKS AND LITTLE WHITE SPOTSâ€ PLEASE READ IT AND LET US KNOW IF THE INFORMATION SUFFICES YOUR INQUIRY. IF NOT, PLEASE RE-CONTACT US. BEING BORN WITH A VEIL OVER YOUR FACE MEANS YOU ARE HIGHLY INTUITIVE, PSYCHIC, SPIRITUAL, AND HAVE THE ABILITY TO PROPHESY. IT MEANS YOU ARE AN ORACLE OR HAVE THE POTENTIAL TO BE. YOU ARE A VERY POWERFUL PERSON WHEN YOU CULTIVATE YOURSELF. Q: A few years ago I did a face peel. I am of African and Indian descent and light brown complexion. My face is completely two toned especially on the forehead and the temple area. (very dark) Please tell me what I need to do to help this pigmentation fade away. I did a Full Body Cleanse in May and the rest of my body is glowing even some old scars I had faded away after the cleanse. I have been using the Oxy Oil on my body and I just started using it on my face (not sure if I should). Please help me. Yes, keep using the Oxy Oil on your face! Also, keep detoxing and drink GREEN vegetables (juiced) to help restore your natural tone. 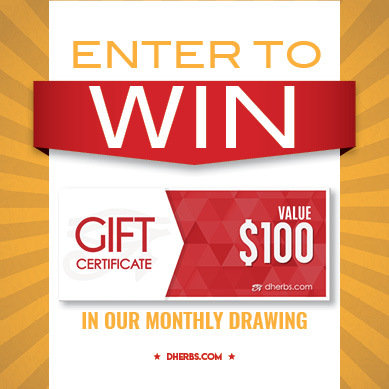 Q: I was diagnosed with Sebhorric Dermatitis about a year ago and everything the dermatologist has prescribed has not made any impact on my condition. I have broken out with bumps all over my face (mainly) and a few areas of my arms and chest and sometimes they itching is really bad. I am currently taking an antibiotic (Doryx), using a face wash (Ovace Plus), using a face gel (Ziana), shampoo (Loprox) and an ointment for my scalp (Betamethasone). She also prescribed a pill for itching when needed (Attarax), which doesn't really help. Can you suggest an herb or one of your products that will cure my condition? Please help!! 1. Detox (see FULL BODY DETOX) 2. Change your diet (during detox and after) 3. Use bentonite clay 2-3 days per week (available at health food stores) 4. Apply Oz Oil: daily 5. Use Kiss My Face soap on your skin NOTE: I am doing an article on this subject! Hang in there! For natural hair and skin care products: order our ALTERNATIVE DIET AND LIFESTYLES MANUAL I greatly recommend it! Q: Your Aries Formula mentions that, an Arian may have some problems arise that deal with the head. What are the psychological, and emotional implications? If a person cerebral hemispheres, aren't in a way fully active, and synchronized? Lastly, what about an Arians face and upper jaw? What specific problems arise in those areas? Is a stiff jaw or a poorly contoured face, noted issues that an Arian experiences? The science of facial diagnosis is facial analysis, and some forms of phrenology. Pertaining to face and jaw, it would include everything that could adversely happen to these body parts. Beloved, actually many average astrology books deal with Arians health. Check out books on medical astrology (usually can be found at good metaphysical bookstores). Q: I had a allergic reaction to iodine iv for a ct scan my face swelled up and closed my eyes shut now I have a horrible rash and bumps over my once smooth skin - what to do for this rash and for focal fibroid in wall of uterus and cysts on ovaries? Q: I have very oily face with blackheads and large pores. What can I do to clean my face. I'm 60 years old and a vegan. I also have hepatitis c. Can you help me? Other than that, I'm in good health. No weight problems or anything else. Start steaming your face. Buy an economical steamer (c. $30-$40). Use bentonite, Moroccan Red Clay, or French green clay on your face once a week. Oil your face with OZ OIL. Use natural soap, i.e. Kiss My Face. For hepatitis C, that's easy! Simply detox with the FULL BODY DETOX. There is plenty of help for you! Q: I am going through menopause and my face is getting dark from the menopause, what herbs should I take for that specific problem. Herbs are not a single solution. Other measures must be taken. Detox the body! Soak in sea salt with every bath you take. Steam your face every day or as much as possible. Start here for beginners! 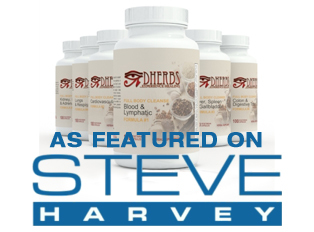 Great herbal formulas from Dherbs include BLOOD & LYMPHATIC and ELECTRIC GREENS CELL FOOD Formula. Q: I'm a 40 yr old woman with genital herpes. I also have had acne since I was a teen resulting in some dark spots on my face/neck. What do you suggest to help control the above? Please read our GENITAL HERPES and SKIN RASH articles to have your question answered in depth. For healing of genital herpes, I suggest you perform our Full Body Detox kit and regimen followed by our Anti-Viral kit and regimen. You can be healed, but healing is an wholistic approach. Q: I just recently found out that the face cream I have been using for 1 year has a horrible carcinogen in it called hydroquinone. I have been putting it on my face twice a day for over a year. Of course I had no idea this ingredient was a carcinogen, apparently a very serious one, until recently. I am not so worried for myself but concerned for my children who through cuddling and kissing were exposed to this substance as much as I was. What could I possibly do to get this horrible chemical out of their system and reverse it's damage. Also, my 7-year-old son had a CT scan of his head and I am worried about the radiation, can you recommend anything for that. Beloved, I would highly suggest you perform the FULL BODY DETOX and have the children perform the CHILDREN DETOX (liquid extracts) . A good cleanse will help you out! Q: I purchased the Blood and Lymphatic Tea, and after drinking one glass I had an allergic reaction. Hours later, it caused my face to break out in small bumps. Is this common? Is it my system cleansing itself? Could it have happened because of something else, I ate or drank after drinking the tea? Is it returnable if my system cannot handle it? We explain what you're experiencing in the articles "Healing Crisis" and "Is This Normal?" as this is a common question so we wrote articles to address it. No returns for opened products. Q: For 2 days my face has been itching alot, I have oily skin, but I don't feel that's my problem. Any help? Your body is speaking to you! You need to FACE up to something in your life on a deeper level. You may also need to cleanse your blood as all skin problems denote toxic blood problems. Q: Would the Nubian black soap be good for my face to help with the acne? Q: I have dark circles on both my eyes. I do have fibroids and have been bleeding a lot. What can I do? Also because of this condition I have had to have a blood transfusion. I WOULD SUGGEST YOU READ THE FOLLOWING ARTICLES: 1. â€EYE PROBLEMSâ€ 2. â€FIBROID TUMORSâ€? ?THESE ARTICLES OFFER SOLUTIONS! TO STOP PROFUSE BLEEDING I RECOMMEND ANTI-STYPTIC FORMULA. GREAT FORMULA! Q: My sister and I both have Polycystic Ovary Syndrome, except my sister has a very severe form of the disease. She has a very irregular menstrual cycle, has severe water retention-- especially with swelling in the face, feet and hands. She constantly has a dull stomachache and cannot lose weight. Doctors seem to only prescribe antibiotics for the recurrent infections (stomach) she has and I am sure they're killing off the good bacteria in her body. We are now ready to turn to natural remedies and I was thinking a cleanse may be a good start. What might you recommend for some of her symptoms?especially something to cleanse the blood and promote lymphatic drainage? Please consider FIRST performing our Full Body Detox (FBD) for 3-weeks, and SECONDLY, performing our Fibroid Buster kit and regimen for another 3-weeks. These kits will greatly help you guys in your health challenges. Please make sure to read our free articles on our site under "ARTICLES." We have a few (articles) that deal with female reproductive health issues. You are here: Home > Articles > What’s The Deal With Jade Face Rollers & Do They Work?